The Reserve Bank of India’s Monetary Policy Committee (MPC) had a positive announcement on 7 February: a rate cut by 25 bps; change in stance to ‘neutral’. The repo rate now will be 6.25 percent, while the reverse repo rate stands reduced to 6 percent. The Reserve Bank of India’s Monetary Policy Committee (MPC) had a positive announcement on 7 February: a rate cut by 25 bps; change in stance to ‘neutral’. The repo rate now will be 6.25 percent, while the reverse repo rate stands reduced to 6 percent. It was the first MPC meeting under RBI Governor Shaktikanta Das, and an ideal ‘positive’ to mark the same – the perfect follow-up to the Budget Speech by Finance Minister Piyush Goyal. From a real estate perspective, this will positively impact home loan interest rates, and reduced EMIs are among the best harbingers of positive sentiment, leading up to further off-take of real estate across India. Over the past year, home loan interest rates have moved upwards, given the increase in repo rates by 50 basis points – putting it simply, as home loans became more expensive, it had an impact on real estate sales. So, this is a welcome move, and I hope the banks pass on the benefits cut, ensuring that the rate cut gives a substantial push to real estate buying sentiment. India Inc. would expect RBI to further cut interest rates, to ensure that a boost to the economy happens at a quick pace. I may sound very optimistic when I mention scope for further rate cuts, but consider that we had rates hiked by 50 bps over the past year. Given the inflation forecast moving downwards, there definitely scope for further cuts. But, this effectively means that a 50 bps cut in this year just brings things back to ‘status quo’ vis-à-vis the rates a year back. So, for something really positive to happen, the cuts across 2019 would have to be 75 bps or 100 bps. We have the first cut of 25 bps; hopefully, the remaining ones should happen across the year. The MPC’s announcement dove-tails perfectly with Finance Minister Piyush Goyal’s Budget Speech, his proposals will effectively boost consumption. This has set the stage where a ‘boost to consumption’ will create the need for ‘increased stimulus’. To further build on the positive sentiment created by the Budget Speech, measures to enhance liquidity in the economy, reflected by the reduction in Repo Rate seems the right decision and should result in boosting investment as also give the economy a positive growth phase. In the previous monetary policy review (December 2018), the RBI had kept interest rates unchanged, but had promised to cut them if the upside risks to the inflation do not materialize. With retail inflation during the October to December quarter at 2.6 percent, the MPC had the scope to change its policy stance from “calibrated tightening” to “neutral” – which happened. On 7 February, the RBI assessed broader macro indicators, and it decided on the rate cut. The decision should be a key driver for markets in the coming weeks. 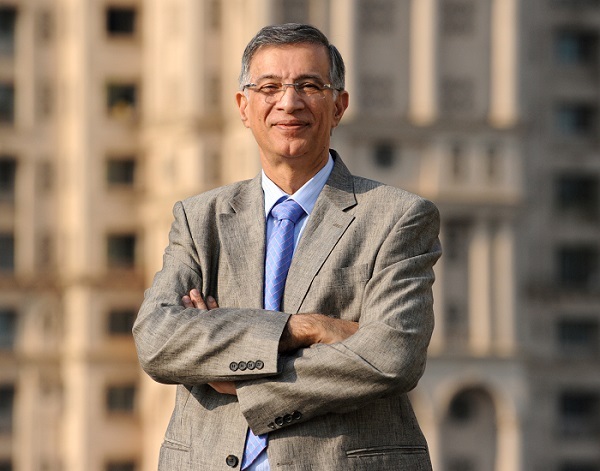 ~ Dr. Niranjan Hiranandani is Founder and MD, Hiranandani Group. His newest venture is Hiranandani Communities. He is President (Nation), National Real Estate Development Council (NAREDCO), which works under the aegis of Ministry of Housing & Urban Affairs, Government of India.